PolyPlast White/Black – Black Masterbatch | PPM Masterbatch - Trust us. We perform. Your requirements call the shots: a special or standard solution? We provide both! 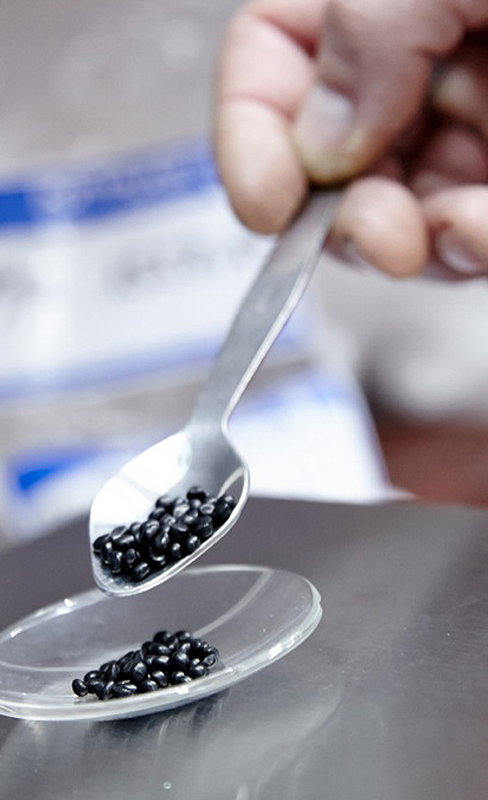 All black masterbatch formulations are carefully tailored to every required application profile. Many of them meet even the highest test standards. This range features products for the cable industry as well as BAM* approved qualities which are required in geomembrane production, for example. With or without fillers – or with additional agents like UV or thermal stabilizers – Polyplast Müller black concentrates are convincing due to their attractive price/performance ratio and their wide range of possible applications.